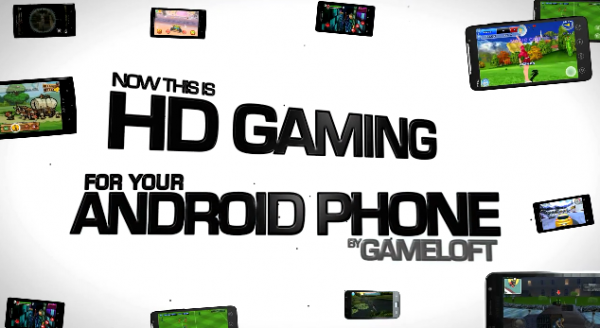 GameLoft may have been a part of Android for the last year and a half, but only now are they ready to start taking it to the next level. To kick off a new aggressive gameplan, they are planning to release 10 new HD games throughout the rest of December with titles like Oregon Trail, Shrek Kart Racing, Brother in Arms 2, Tom Clancy’s Splinter Cell, Let’s Golf 2, Gangstar Miami Vindication, Real Soccer 2011, Spiderman Total Mayhem, Fishing Kings, and GT Racing. Check out the trailer for these new games after the break. If you’d like to grab any of these games you’ll need to head over to gameloft.com as they still have little presence in the actual Android market. I also suggest going their from your device rather than from your desktop to help ease a process that we know can be a little finicky.